The natural beauty of Romania is becoming more and more popular both at European and at a global level. However, when it comes to fauna and flora, Romania's reputation is a bit tainted, especially according to modern standards. This is due to the hunting sessions organized and made famous during communism, a habit with important echoes even nowadays. However, the entire Eco movement along with the concept of ecological tourism, which have seen a steep growth in Romania over the last few years, have helped diminish the scale of the phenomenon. In fact, the main driver of of this reduction was a decision by the Ministry of Environment in 2016, when hunting large carnivores (such as wolves or bears) were banned in Romania. Thus, although these animals can theoretically still be hunted (if they are found to be a real hazard for human settlements), in practice, hunting approvals are more difficult to obtain, and the number of animals susceptible to hunting is also much smaller. Thanks to this law, Romanians adapted and learned quite quickly that such animals can be far more profitable alive than dead. Therefore, since the hunting of bears was banned by the authorities, ecological tourism has gained momentum. 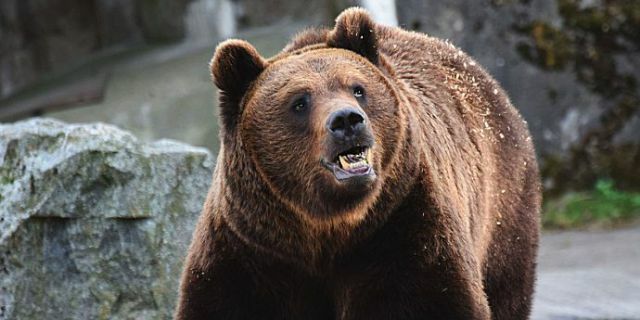 As a result, two bear observatories were installed in the Braşov County, where tourists pay a fee to see the animals in their natural habitat. According to authorities in the area, this fee amounts to around EUR 25,000 per year, while for a hunting trophy people were usually requested to pay between EUR 4,000 and 15,000. In other words, such an observatory represents the financial equivalent of hunting between 5-10 bears. The good part is that ecological tourism, unlike hunting, allows these specimens to remain alive and well and to be reused for profit year after year.